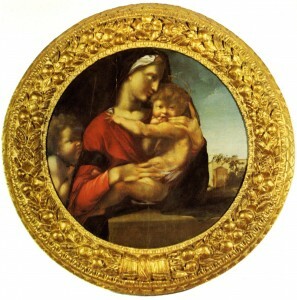 Florence, Palazzo Vecchio, Loeser Collection. There seems to be a gray underpainting. The Virgin’s garment is red; her mantle is dark green. There is violet drapery around the Child’s waist. PROVENANCE: Florence, Casa Da Filicaia. Florence, Charles Loeser Collection, Villa Gattaia. 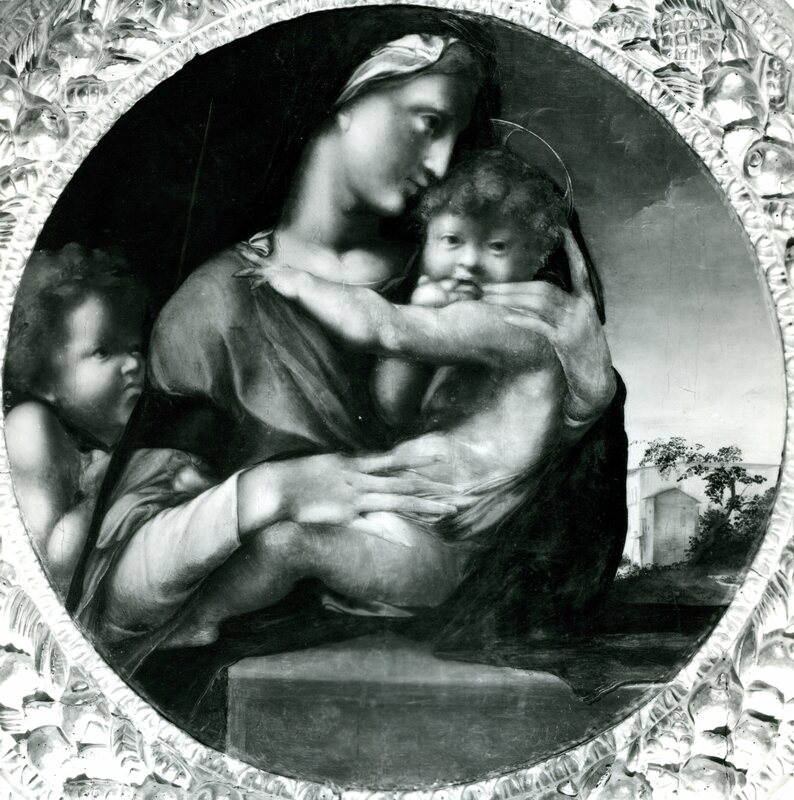 1928 bequeathed to the Comune of Florence, subject to life interest of Loeser’s daughter, Matilda Sofia Loeser; placed in the Palazzo Vecchio in October, 1959 (La Nazione, Florence, October 19, 1959). Kusenberg, 1931, 128, as Rosso, and as unfinished, according to Friedrich Antal. Alfredo Lensi, La Donazione Loeser in Palazzo Vecchio, Florence, 1934, 9, 12, 45, Pl. 29, as Rosso, by comparison of the Virgin’s hand with that of the female saint in the Dei Altarpiece. Mostra del Cinquecento, 1940, 119, as by the young Rosso. Becherucci, 1944, 27 (1949, 28), as Rosso. Barocchi, 1950, 45, 246, Fig. 27, discussed as Rosso, catalogued as Rosso?, 1522. Longhi, 1953, 9, as by Alonso Berruguete, around 1516. Baldini, in Mostra del Pontormo, 1956, 121-122, no. 153, Pl. 92, as Berruguete. Oertel, 1956, 218, as problematic Longhi’s attribution to Berruguete; stylistically close to Rosso. Freedberg, 1961, I, 537, II, Fig. 661, as Berruguete, around 1517-1518. Freedberg, 1971, 64, as Berruguete, around 1518. Rosanna Proto Pisani, in Primato del Disegno, 1980, 77, no. 96, 120, Color Pl., as Berruguete. Alba Costamagna, in Aspetti dell’Arte, 1984, 127, 132, as by Alonso Berruguete, late 1517-first half of 1518. Paolucci, in Pittura, Cinquecento, 1988, I, 297-298, as Berruguete, around 1516. It is now generally recognized that this painting is not by Rosso, an opinion with which I concur. Longhi’s attribution to Alonso Berruguete during his sojourn in Florence is largely accepted. 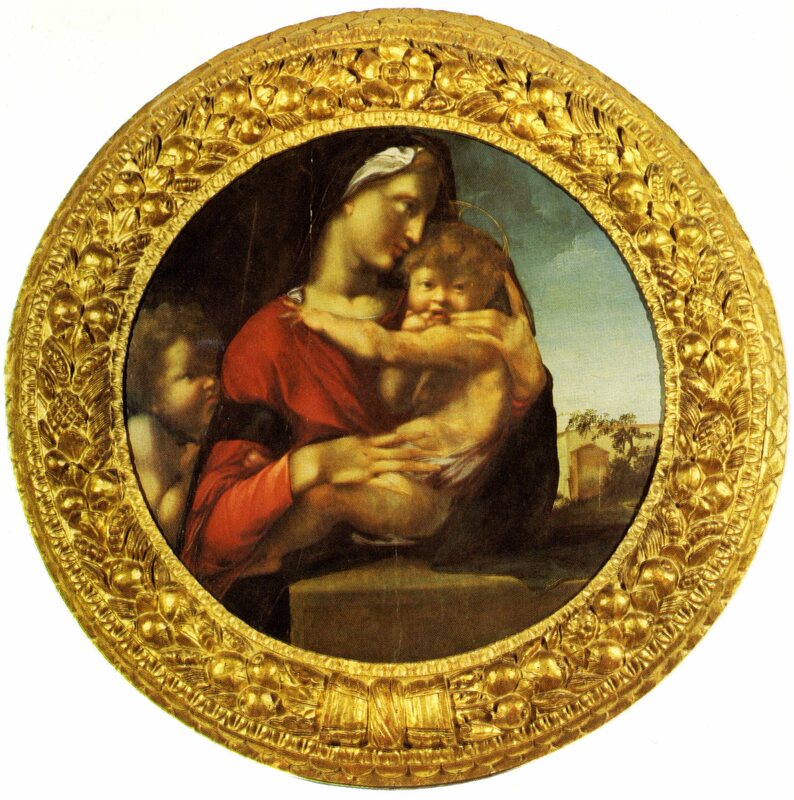 1 This article is primarily about a Madonna and Child in the Uffizi storerooms (inv. no. 1852), which had once been attributed to Rosso, but never published as such, and which Barocchi, 1950, 254, announced would be attributed again to him by Becherucci, who instead recognized it as by Alonso Berruguete. The painting is not by Rosso. It is related to those paintings that have been attributed to Berruguete.